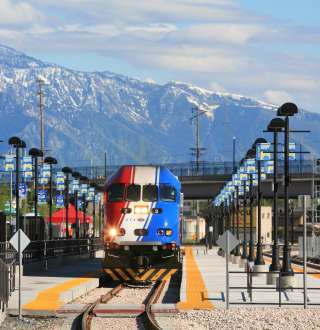 Light-rail lines, called TRAX, provide access to Downtown from across the valley on three color-coded lines. Downtown Salt Lake provides a great transfer point as all the lines run through downtown. UTA offers route and transit information in a variety of languages through it&apos;s interpreter program. This program is available by phone. Call 801-743-3822 (801-RIDE-UTA) or call toll-free 888-743-3822.